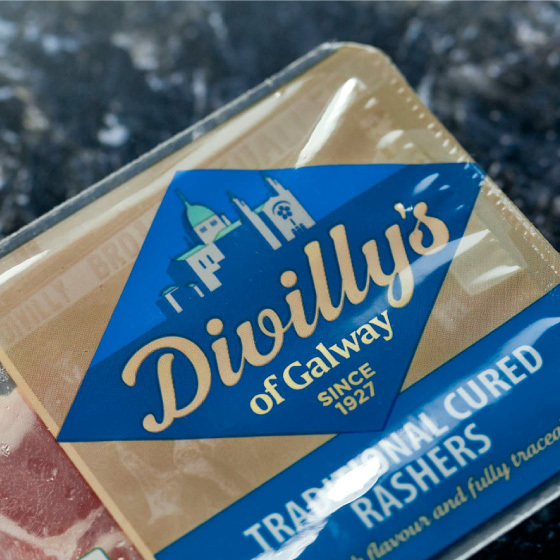 The Divillys family have been butchers in Galway for ninety years. 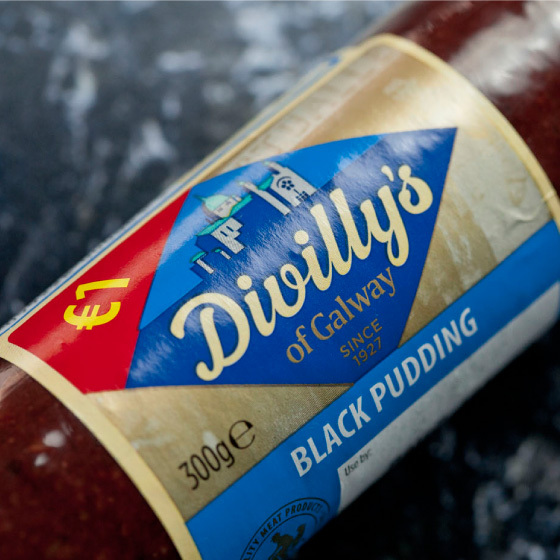 The family is synonymous with the city; Martin Divilly, was elected mayor of Galway fifty years ago. 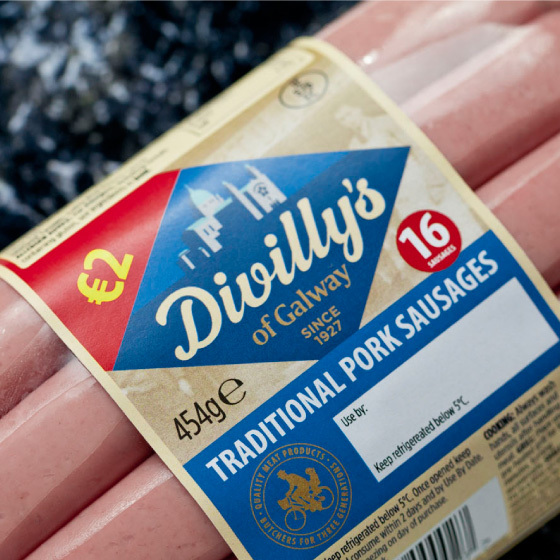 The company expanded into pre-packed meats and now has a thriving factory near Oranmore. 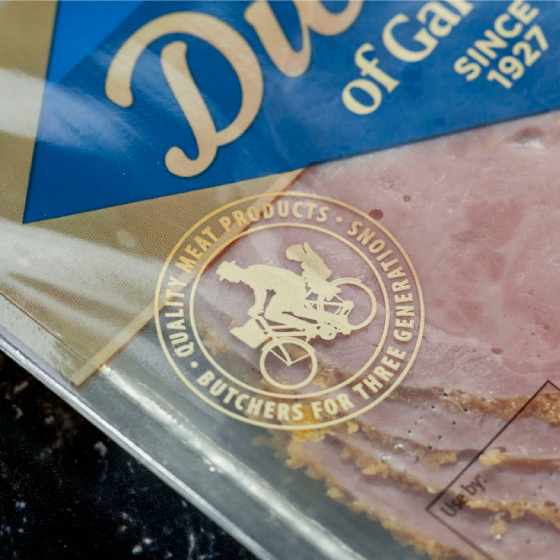 They asked us to re-brand their flagship range as it was dated and uncompelling. We were excited to work on this project as we remember their iconic shop-front on Galway’s Shop Street. Those thrusting diagonal lines made a big impression in the nineteen eighties. The new brand nods to those diagonal shapes with its strong diamond-shaped holding device. The value of the Galway heritage is expressed in the mark – a graphic representation of Galway Cathedral. 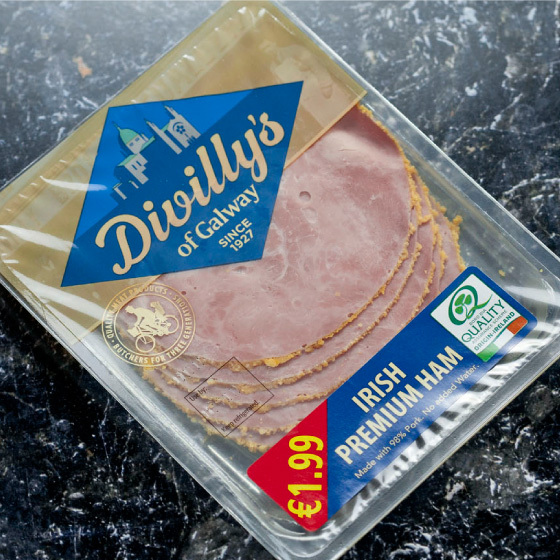 We used a colour palette more in keeping with ham and breakfast packaging conventions but optimised for shelf standout. Lastly we added a whimsical touch – the child seat on the butcher’s bicycle – highlighting the contiguous three generations of family ownership.